Rose Weber is a garden care extraordinaire. She has been gardening since she was a child in and loves to spend her weekends teaching her grandchildren all about growing a vegetable patch. You can find her sharing her crop with her friends and neighbours. So you’ve prepped your home cosmetically for sale in every imaginable way – fresh paint, a deep cleaning, new landscaping, decluttered closets and even organized the garage! Your house looks better then it ever has and you are ready to hit the market! Before you proceed with the “For Sale” sign in the ground, there are several key pieces of information that you should consider gathering that today’s savvy buyers are going to want to know. Do you have a copy of a current survey on your home? Have this document available and provide to your listing agent so they can include in the information about your home. Buyers want to know about property lines, easements, conservation buffers, if there is room for a pool, if the property line extends to the water behind your home, etc. Having a survey to provide upfront will help to eliminate these types of concerns vs. waiting until a property is under contract. If you’ve made any changes that would affect your property such as adding a pool or fence since you took ownership and are not shown on your current survey, it’s important to advise the buyer. A new survey will usually need to be ordered prior to closing in this scenario. If you don’t have one from when you purchased the home, try contacting the title company or attorney’s office that handled the closing of the property. Depending on how long ago that was, they may be able to retrieve from their archives. Buyers often need to know room dimensions as it helps with determining furniture placement and to ensure how what they have will fit (or have to be reconfigured) in the new space. 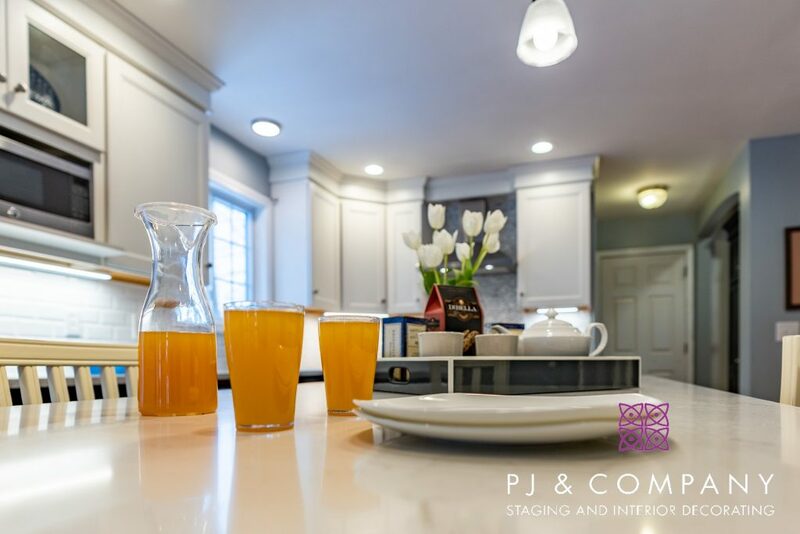 As any real estate agent can attest, many hours have been spent measuring spaces while looking at a home and comparing that against the existing buyer’s furniture dimensions. I’ve encountered entire home searches that revolved around a great room accommodating an entertainment center and the garage size so a motorcycle could fit in addition to the cars! An appraisal is helpful as it can confirm the exact square footage of a home vs. relying on tax records which may not be accurate. We’ve all heard stories where the appraisal showed the actual square footage that was smaller than what was initially represented in a listing sheet. Having an appraisal will help to ensure that does not happen. You should have received a copy of the appraisal if you obtained a mortgage loan from your lender or if you refinanced. If you don’t have either, consider having a floorplan drawn up or home measured by an appraiser when prepping your home for sale. Your agent can assist with resources to this effect. Buyers want to get an idea of what they can expect the heating and cooling bills to be in a home. Review your bills over the last one to two years to get an average in the various seasons, or call your local utility provider as they can often provide you with information on the high, average and low costs. This information can be very beneficial when a buyer sits down to number crunch their total costs of owning a home. If you had an unusually high or low bill, provide some explanation to accompany the numbers. In many markets where termites are alive and well, it is common place for homes to have some sort of protection plan in place which is also known as a bond. In Florida, where I live and work, this is a primary concern and often one of the first questions buyers and their agents want to know. Prior to listing your home, obtain a copy of your termite bond policy from the provider, know exactly what type of bond you have – repair or treatment bond and up to what dollar amount of coverage is it good for. Also know how long the bond is in effect, when it is up for renewal and what the renewal fee is, if there is a transfer fee and what does it provide protection for – not all bonds provide protection against all different types of termites. If you maintain any type of pest control on your property, compile information as to who the provider is, what you have done, how much you pay and how often does the company come out to treat the property. A copy of your service agreement is helpful in this instance. Buyers especially want to know who a seller uses for their homeowners insurance and how much they pay. This is particularly the case in higher risk areas (where there are hurricanes, floods, fires, etc.) With homeowners insurance potentially more difficult to obtain in some areas, going through the existing seller’s insurance company can help streamline the process, particularly on an older home. Now is the time to gather the various product manuals for all items that will be staying in the home such as appliances, water heater, heating and cooling system, ceiling fans, pool equipment, etc. If your home came with any warranties, be sure to include these for the new owner as well. Putting all of these in one large envelope makes it easy for everything to be readily accessible in one place for the new buyer. Compile a list of all service providers/vendors and their contact information who you have used on your home – lawn service, pool service, A/C company, etc. While a new buyer may or may not choose to use these services, they will certainly appreciate having resources available to them and may elect to initially use them as they make the transition to living in your home. This is key critical information for a new owner to have on hand. A contract may likely hinge on the buyer’s review of this information, so easiest to have it available ahead of time. If you don’t have these, contact your neighborhood’s association president or management company for assistance in obtaining a copy. Many of these documents are matters of public record and are available by going online to the appropriate municipality’s website. Work with your agent to create an informational package or binder that you can provide to prospective purchasers that come through the home with the information mentioned above. Gathering this information before you put your home on the market will save time and make the process that more efficient once you find a buyer. It may even help your home to sell faster as all of this information is available upfront, eliminating the need for guesswork and waiting on answers while another property could possibly come on the market to grab the buyer’s attention. You want to help keep the buyer focused on your home, so make it easy for them to buy by giving them what they want. Happy selling! You can read more home seller tips here. Cara Ameer is an agent with Coldwell Banker Vanguard Realty in Ponte Vedra Beach, Florida and serves as a regular contributor on the local lifestyle show called First Coast Living where she covers a variety of real estate trends and topics of interest. Click hereto view Cara Ameer’s profile. Was one of your New Year’s resolutions to give your house a makeover or declutter? Tired of the old paint colors, the piles of catalogs, over stuffed closets and toys that your kids haven’t touched since 2013? Is your tween not lovin’ the Winnie the Pooh theme room anymore? Well, then its time to room swap! Most of us move homes every 5-10 years but many stay put for decades. Moving is the time when we get rid of the most stuff, so if you haven’t moved in 5 or 10 years things are piling up! Remember when you first moved into your home? Life in your new home was full of possibilities: the empty space, clean shelves, the fresh paint, and newly organized, just moved into closets. Come on admit it, you want that feeling back. You can have all of that bliss again just by moving rooms in your home. It is a giant way to clean, get rid of unwanted belongings, redesign a room to fit your new needs and get set-up to attain your goals for the year. Design: Here comes the fun part! Each person gets to pick out the paint color for his or her new room, as well as drapes, new bedspread, furniture layout, etc. It is up to you how much you want to spend. Repurpose your old furniture – sand and repaint. Maybe’s Jesse’s desk is really the right size for Larkin now? Just sand it down and paint it her favorite color. Give your older kids a budget and stress they need to stay under budget. Tell, them: “It’s like having your own design show – how far can you make the money go?” No need to spend a lot, some heavy lifting and just a new paint color can transform a room! Move Out: Okay, brace yourself for a little bit of chaos but it will be so much better on the other side of the transformation. Set aside one week for each room swap. Move everything out of the chosen room. That child is now going to be camping in the living room and/or sleeping in the same room with a sibling for a week. Make sure they have a packed suitcase of what they will need that week (clothes, meds, school books, fish food, etc.…). Now, designate a space in your home where all of the furniture and belongings can sit for a couple of days. Garage? Basement? Sort: Now, sort EVERYTHING as it comes out of the old room into five piles: keep, recycle, store, donate to your favorite charity (a good start to this year’s taxes!) and items to pass along and repurpose for another family member. If you don’t have the time, hire a moving & storage company to help you move furniture and place items in storage, etc. Move In: Carpets are clean, paint is dry, its move-in day! Move in only the furniture and items that were selected to keep. Hang new and old wall art, put away clothes (clothes go vertically in drawers to save space) and handle every detail down to hanging the new occupant’s name on the door. That night the child gets to sleep in their new room that they designed themselves! Or, Dad gets to read a book in his new office. Whatever the new space is designed for, it is clean, organized and will inspire you in 2016! Next! Keep going until each room has it’s makeover and each person has their new space. You really do have a way to have a fresh start in 2019, make it happen with new living space! Ready, set, swap and experience the Switcheroo! Yep, it’s going to be a Happy New Year, indeed! You’ve set yourself up to make your resolutions your reality! 1. Cabinet Color. 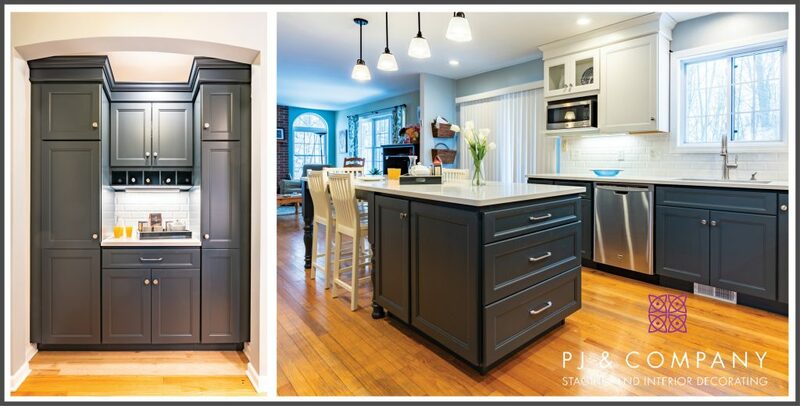 Replacing or repainting dark, dated cabinets is a priority in any kitchen update as cabinets are both an aesthetic and functional focal point which get noticed immediately by buyers. 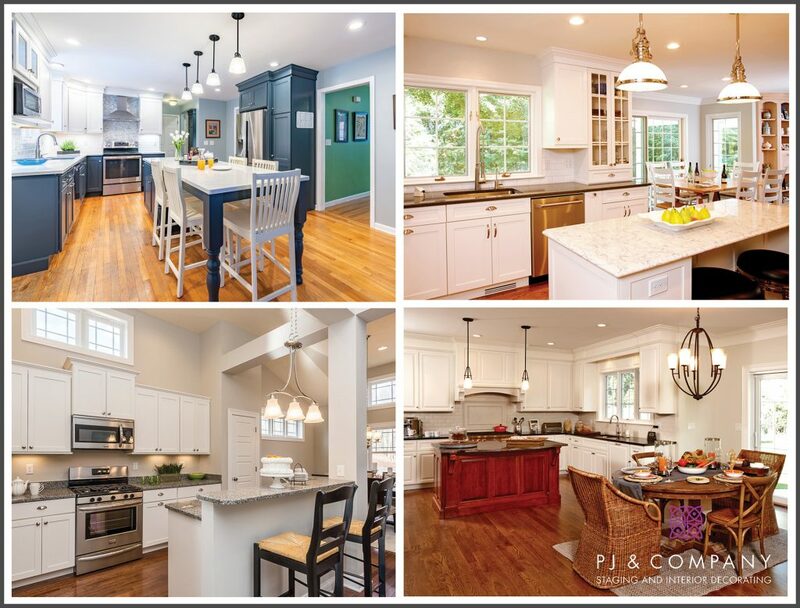 In the kitchens pictured above, we use bright white shaker cabinets which remain a current favorite to brighten the space and provide a clean, modern appeal. For the first kitchen pictured, we introduced on-trend navy blue for perimeter cabinets and a built-in pantry and coffee bar to add depth and contrast to the white subway tile backsplash, white Quartz counters, wood flooring and stainless-steel appliances. 2. Custom Storage. According to a recent Houzz study, “a top functional priority, cited by 63 percent of renovators, was having a kitchen in which it’s easy to store and find items.” In the kitchen above, we chose a large island that functions as both a work area with extra storage below as well as a casual eating space with bar stools. The surrounding custom cabinetry and built-in storage units add to the room’s efficiency and enhance the clean lines and modern style. 3. Quartz Countertops. The Houzz study also found that Quartz (used for the island and counters in our kitchen remodel above) was the most popular countertop material in 2018. It has become a growing alternative to granite and marble for its durability, versatility and custom appeal. 4. Full-Tile Feature Walls. With the popularity of open first-floor layouts and kitchens with wall-free transitions, there is more of a need for a focal point. 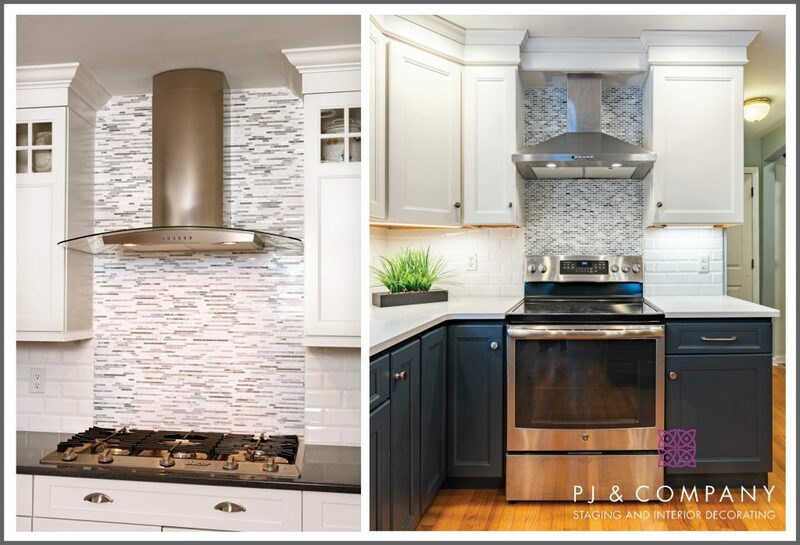 One of the trends we continue to see is beautiful feature walls with counter-to-ceiling tile either behind floating shelves or a range hood (as shown above). Whether choosing a shimmery glass finish or a bold geometric pattern, it’s a cost-effective way to add high-end style, texture and depth. 5. Mixed Metals. Designers are now selecting a mix of metal finishes for faucets, hardware, lighting and appliances to add a new level of depth, sophisticated style and personality to a space. Be careful not to choose too many different finishes that compete with the surrounding colors and materials. Keep it simple with two metals that balance the room well. A primary finish such as a cool chrome or stainless steel should take up two-thirds of the fixtures then choose a warmer accent such as antique brass for the remaining third. 2. What's our total debt? You'll both need consistency and communication to stick to your debt repayment plan. Whichever method you and your partner decide on, you should both acknowledge that you're in it together. And don't forget to celebrate the wins - no matter how big or small - along the way. With dozens of decorating apps to choose from and inspiration just a finger touch away, redecorating your home has never been easier. 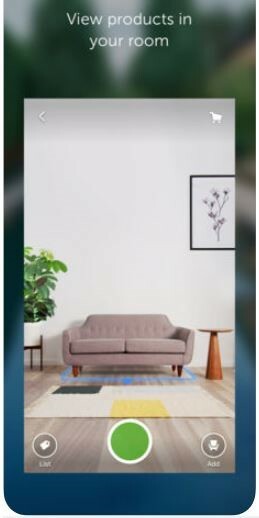 Augmented Reality (AR) now lets you use your phone to see how colors, accessories, and furniture will look in your own house. On the horizon, you can expect to see apps using Artificial Intelligence (AI) to learn your style through your interaction with them. 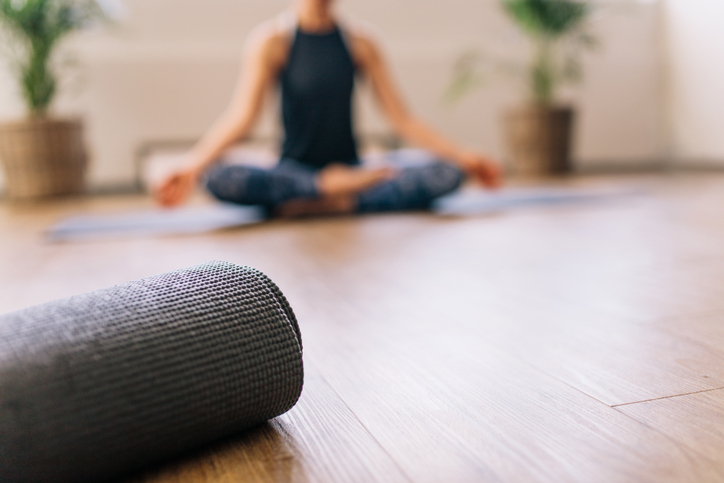 Whether you’re looking to give your living room a quick refresh or want to completely revamp your home, these five apps can help you get started. Create a stunning look without blowing your budget — no professional interior designer needed. Apps like Pinterest and Instagram have plenty of pictures and designs to start your inspiration journey. However, it’s easy to get overwhelmed, and keeping track of design ideas can be cumbersome. It’s not always simple to buy an item featured in a picture, and you might need to search around to find a similar item. A site like Houzz can help you keep everything organized and in one place. Houzz covers architecture, interior design, decorating, landscape design, and home improvement. It has over 17 million high-resolution photos, all of which can be filtered by room, style, budget, size, color, or a combination. Many of the pictures have purchasing information on the featured items, allowing you to purchase them within the Houzz app. You can also save pictures to an “Ideabook” to help keep your style ideas all in one place. The app uses AR to help you see what an item will look like in your home. Click the “View in my room” button to see the item in 2D using your phone’s camera. The Houzz app is free on iOS and Android. To ensure that the furniture you plan to purchase fits in the room you’d like to decorate, it helps to create a floor plan. The MagicPlan app lets you input the dimensions of a room by measuring, drawing, or using your phone’s camera to create the floor plan. Once you’ve added your room’s dimensions, you can add doors, windows, structural features, plumbing, appliances, electrical, HVAC, furniture, flooring, and more to your floor plan. Many of these features are free to use, but there is an in-app cost for things like cabinetry, light switches, and outlets. When you add MagicPlan’s 2D furniture, you can adjust it to the size you want by using your fingers or inputting the dimensions. You can add your own photos to your floor plan, as well. If you are planning to paint or replace the flooring, estimate how much it would cost by clicking “Estimate” for the approximate price. Just remember the estimates do not include the cost of labor. MagicPlan is free on iOS and Android. Swatches from your local home improvement store make it hard to envision the color of the whole room, and buying paint samples can get expensive. The TapPainter applets you choose paint colors from Benjamin Moore, Behr, Sherwin Williams, and other popular brands. 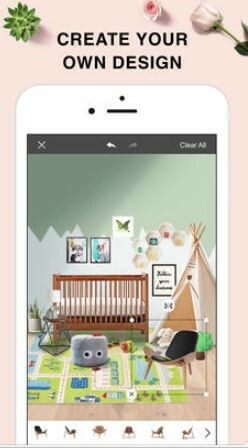 Use the app to snap pictures of the room you want to paint and try out different colors by entering the code from a paint swatch, choosing a color from one of the brands included, or mixing your own custom color. You can even add different colors to different walls. TapPainter is free on iOS. DecorMatters is an app that lets you virtually add pieces and design elements to a real room. 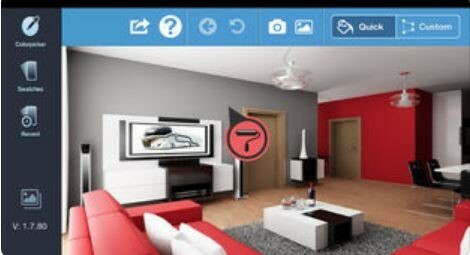 Take a picture of the room you want to decorate and use AR and the AR ruler to add and measure 3D pieces. This is a simple way to see if a piece you’ve been eyeing will fit. The app features items from popular stores like Crate & Barrel, Target, Overstock, West Elm, IKEA, and Ashley, and you can make in-app purchases right from your phone. You can save your ideas to your mood board to share with friends, and the DecorMatters in-app messaging also offers free feedback and suggestions from real DecorMatters interior designers. DecorMatters is free on iOS. Finally, the Art.com app offers hundreds of frame styles and sizes to help you plan your gallery wall. Use the app to arrange different layouts to see how your gallery wall could look. Art.com’s latest app release also lets you upload your own artwork and family pictures to pair with any style frame, and you can even have them printed on canvas, wood mount, acrylic, and more. The Art.com app is free on iOS and Android. It’s easy to create a stunning look that suits your style, all from your phone. These five apps offer the inspiration, confidence, and guidance you need to get started on your redecorating project. Lori Cunningham is a family tech advocate and contributing writer for Xfinity Mobile. She is a mom to two creative children and started the WellConnectedMom.com to share her passion for technology with others. Tuesday, April 16, 2019 How to Swap Rooms to Make Your Old Home Feel New in 2019!